Discussion in 'XJ Technical Chat' started by k-moe, Jul 27, 2013. The following link is to the JASO list for all of the oils that currently meet the JASO MA specification. Using oils that are not JASO MA rated can lead to slipping starter clutches, and slipping transmission clutches, on wet clutch motorcycles. 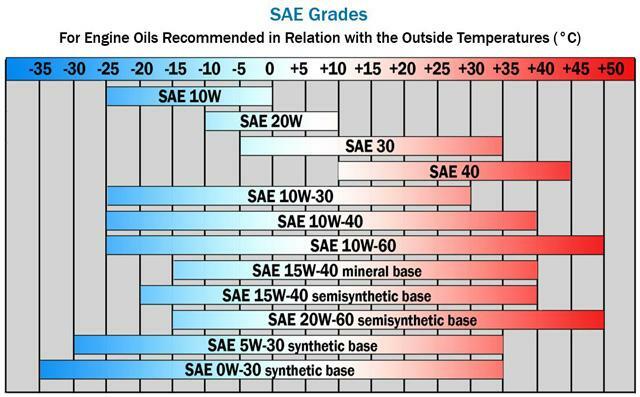 The use of friction modified (modern automotive) oils can lead to accelerated transmission wear. Modern automotive oils do not have the additives that are needed for transmission gears (or for cam over shim valve trains; primarily Zinc), because those additives damage catalytic converters. I think the link may be good even after the list is updated. Note: The list is long, and contains brands that are not sold in the U.S.A. If the PDF link above does not work, the current PDF can be found on the JALSO website. Look for the letters MA in their link title. Note: There are oils that meet JASO MA specifications, but won't be on the JASO list because they did not seek (and pay for) certification, but did their own internal testing instead. Usually these olis will have "Meets JASO MA" somewhere on the bottle, instead of the JASO MA stamp. The owner of the site has several technical write-ups about how oils are blended and tested. There is also information about having your used motor oil tested, which will provide you with a peek into what the internals of your engine are doing, and how well your chosen oil is performing. The results of these tests can help you dial in exactly how long you can run a particuar oil before needing to change it. Rotella T3 no longer exists. It was replaced by Rotella T Triple Protection, which has since been replaced by T4 Triple Protection. Many questions have come up recently about what weigh of oil to use. The viscocity choice has to do with the abient air temperature that you will be riding in. The charts below should guide your choice. The same information is in the service manuals and owner's manual for your machine. Many including my self have been using Shell Rotella T with no issues. I have never worn out a transmission. Rotella T (now T Triple Protection) is JASO MA certified. I've used it for 20ish years myself. I use Valvoline motorcycle oil. I can get it at the local Walmart. 20w50 for Summer and 10w40 for Winter. It's readily available and seems to work good. 1st oil change with it, I noticed a big difference in clutch slippage at 8000rpm shifts. I used to have a bit of slippage at high rpm shifts but not after the 1st oil change of Valvoline motorcycle oil. The clutches in our bikes are 30+ years old. If you haven't rebuilt the clutch, the oil discussion is a moot point in regard to slippage. ALL of our bikes SAT for some period of time; some longer than others and under different conditions. Some (very few) might have been stored with clean oil; most were parked as-is and sat there for 10, 15, 20 years or more. Which means the oil-saturated friction plates sat half in, half out of whatever oil was in there. The half of each friction plate that was OUT of the oil dried out and became linoleum (look it up, linoleum is basically dried oil) while the other half sat there percolating in whatever nasty acids formed in the old oil. Then along comes the proud new old XJ owner; and because he can't see the clutch, simply assumes it will be fine. And is often completely taken aback when it doesn't behave as expected. Brakes, sure; rebuilt those. Did the carbs, the valves, etc. But ignored the clutch? Surprise, surprise. It's toast, you just can't see it. If anyone still has their original clutch, I advise you rebuild it. But you still need to run motorcycle oil. question; how does one determine if the clutch is original or not? my 30 year old bike only has 14,000 miles on the clock. no doubt it has done a lot of sitting. the clutch seems to function fine, but I have not really had any seat time on it yet, and I have not had it over about 35mph. If the Clutch is smooth and doesn't shutter, ... 14-grand is low miles. But, Clutch-life depends on how the Bike was ridden before you took charge. I guess the real test will be when I finally get it on the road and get it in high gear. the bike is in real nice overall condition, not too sure about when the fluids were last changed or how often, so they are all getting renewed as well. cyclenoob, if you haven't replaced it - assume that the clutch is original. Read the bigfitz52 post above. We're reiterating all that he already said on the topic. Or, run it until it begins to slip, and then rebuild it. The key word is "until." An original, half-petrified clutch will not last long, even if it seems to work OK initially. Even with the correct oil. As soon as it gives any hint of slippage rebuild it before you cook the steels. Something to keep in mind in regard to 30-year old bikes: a LOT of things, like the clutch, or the tach drive seals, or wheel bearings, etc., will work OK at first once you start riding the bike again. But they won't last long and will pop up as "problems" when in fact, they are just more easily overlooked maintenance items that needed to be dealt with. Same philosophy could be applied to everyone's own body, except that you can't do any part replacement, well, some are possible, but most aren't. sounds like good advice, thanks. I have only had the bike since late august and in that time it has been doing what it has done most of it's life. I probably won't get to ride it till next spring at this point. thanks for the heads up about "cooking the steels". not having much motorcycle experience, I would not have thought of that. I am guessing that the "steels" are the discs between the clutch discs? and are not generally replaced? also, what is a normal lifespan for a clutch set? assuming the bike wasn't treated badly and driven "normally", how many miles do they last? Yes, by "steels" I meant the plain plates. Once the clutch starts to slip, they can quickly become overheated, burnt blue and warp. Generally speaking, unless it's a high-mileage bike, they can be re-used after a little cleanup with Scotchbrite. But not if they're burnt blue or warped. If it weren't for the "sitting for years/turning into linoleum" thing, clutch life can range anywhere from 10,000 miles (or even less) to over 20,000 miles depending on how the bike was ridden. But all the sitting has negated that. 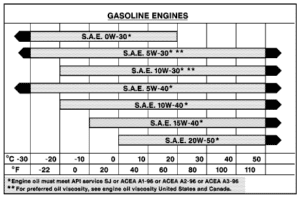 DO I understand that it would be better to drain the engine oil before a long storage? Or change it once a year and crank the engine every month or so? Better to store with fresh oil in it. No need to change once a year, spinning the motor over occasionally (without introducing fuel) is OK; however if left sitting long enough the friction plates in the wet clutch will suffer. Most of our bikes however, were NOT "stored carefully." Most just got shoved in a corner of the garage (or yard) and forgot about, with whatever oil (and gas) was in them when they ran last. Most people don't "properly store" bikes for 20+ years though. A couple of years layup won't murder your clutch. understood. I don't plan to ride my bike hard either, definitely an "easy rider" here. at any rate, I am certain it is fine for now. new brakes and brake lines are at the top of the list right now. Most "latent" problems such as the ones I mentioned will surface within a couple thousand miles of putting the bike back in service, or less. Tach drive seals (mechanical tach bikes only) seem to last about 200 miles of renewed use before biting it. Wheel bearings will last until the 30-year old jellied grease fails. great advice to be sure. Synthetic oils not labeled "Resource conserving" or energy conserving are okay to use on set clutch bikes. Just look at the back of the oil container where the ratings are, bottom of the circle.